While we don’t expect many people to fall for this trick it is possible that some might, at least early on while the scam is not that well-known (and is also unexpected). 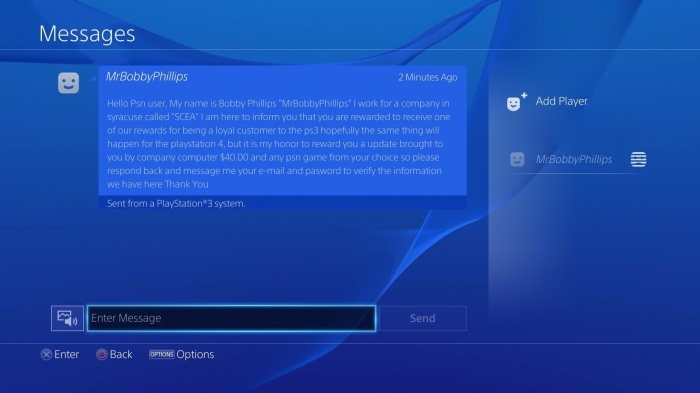 If you do, then change your password immediately and check your bank/credit card/PSN transactions. You should also contact Sony straight away if you happen to receive a message like that above and report the relevant user, that way we can hopefully put a stop to these scams before they get out of hand or become more widespread.